This is a very simple painting to create for any level. 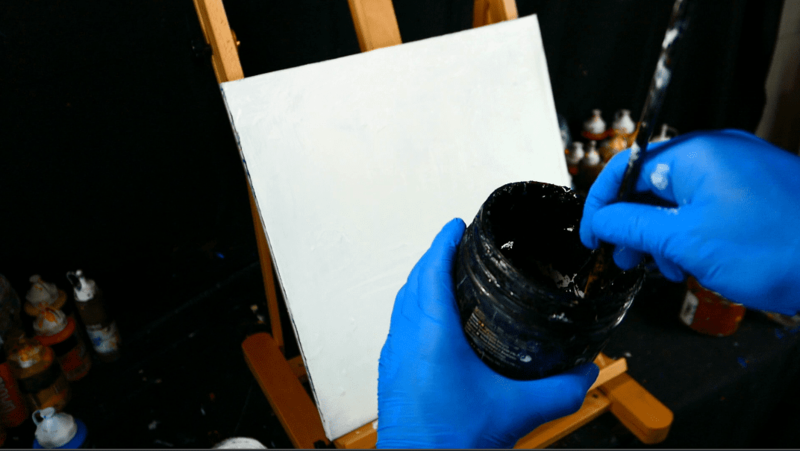 You will need acrylic paint, I use Basics by Liquitex. Three colors: black, white, and blue. Beggin with fan brush and white paint. 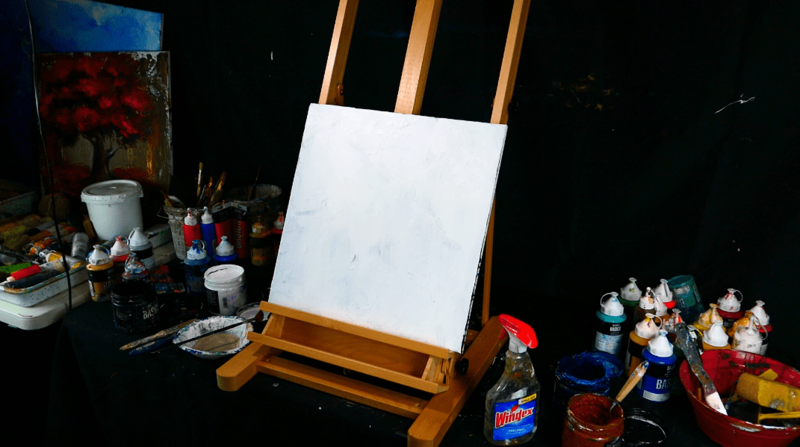 Spread the white paint all over the canvas. 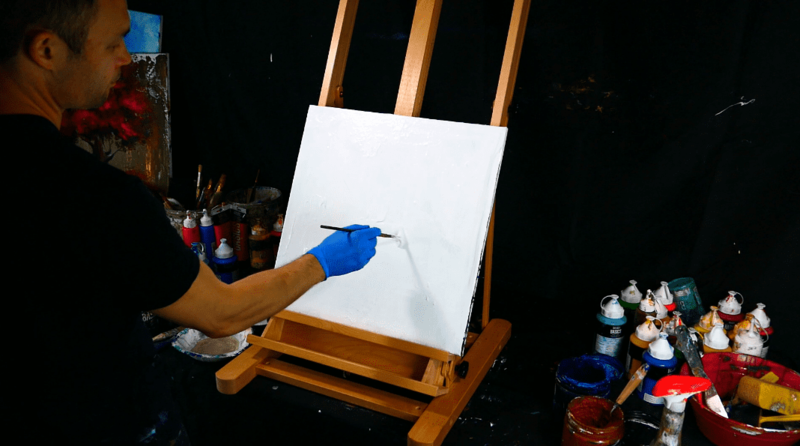 Take black paint next with 1″ fan brush. Starting from the middle beggin making upward brush strokes, creating black and white trees in the background. 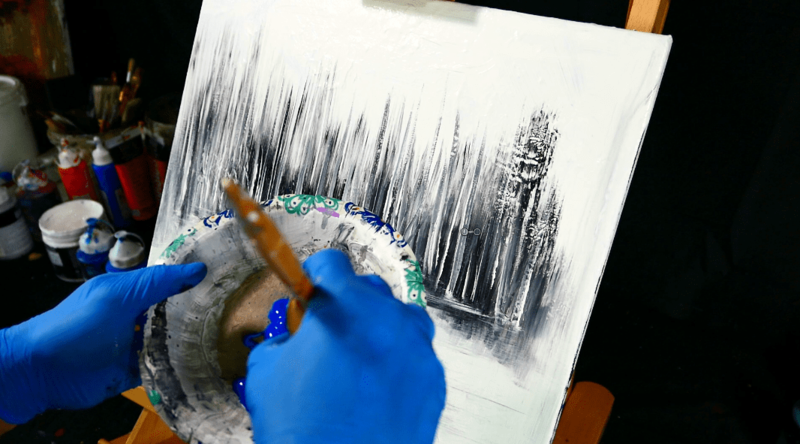 Then, take a regular paint brush about 1″ thick and with the side to side motion smudge the paint under the trees – creating illusion of surface reflection. Make sure not to press to hard into the canvas when you do this. Keep it a light touch with the brush. Next, using a fine brush create three tree trunks of the trees. Paint them on a different distance from viewer. 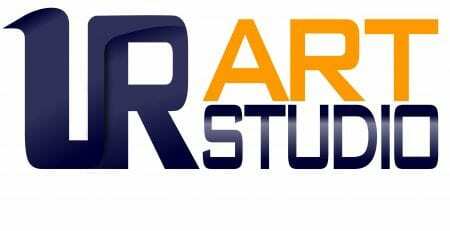 At the same time create a light shadow using that same brush and black acrylic paint. 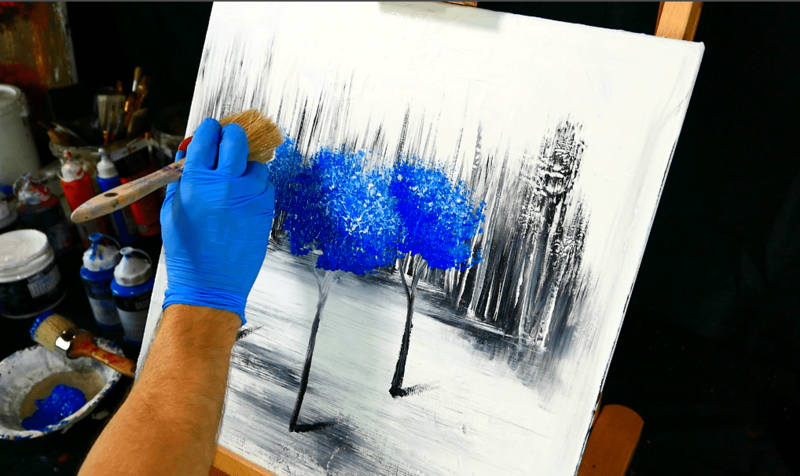 Next, with the thick round brush paint the leaves of the blue trees by gently dabbing on the canvas. I used two different tones of blue – one dark and one light blue. 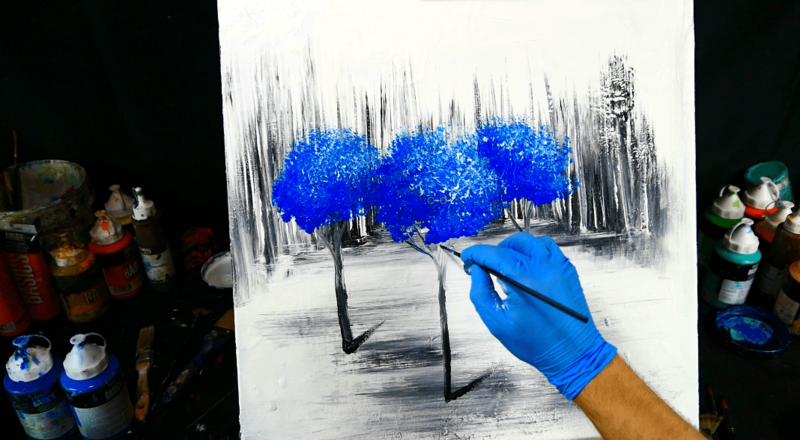 The dark blue will create a shadow and make dynamic appearance for the top of the trees. Add a little bit of white paint on top of the trees to indicate light.